Will CRISPR plant breeding be used for good — Or mostly to drive corporate profit? Hornless cattle, described by GLP’s Jon Entine here last year, have lumbered onto the GMO scene once more. This time they appear as an example in Antonio Regalado’s speculations at Technology Review about the future of GMO regulation, especially animal biotechnology. Because the cattle are made using gene editing techniques and no genes from other species, the hope by some is that regulators will accept them more readily than they have GM animals produced in other ways. The hornless cattle are the brainchild of molecular geneticist Scott Fahrenkrug, who used to be at the University of Minnesota but left to form his animal GMO startup, Recombinetics. He wants to breed GM pigs as model animals for human disease research as well as cattle without horns. Fahrenkrug, whose company is using a gene editing method called TALENs, is not the only scientist hoping that gene editing will pass muster with regulators. A few weeks ago I wrote here at GLP about a gene deletion, using a different gene editing technique called CRISPR, which helps wheat resist powdery mildew. The hope is that because the work did not involve gene transfer it will not arouse opposition. Is gene editing close enough for government work? It’s not clear that organisms made via gene editing techniques will be able to avoid the name-calling and regulatory suspicion usually heaped on GMOs. Optimists are hoping that gene-edited products will impress regulators when they contain no foreign genes and so make it to market. The Chinese scientists who developed the disease-resistant wheat said that explicitly. China has invested in research on GM crops but has approved none for field-testing recently, ostensibly in response to public concern. Two plant geneticists (one from China) took to the pages of PLOS Biology in June to make the case for regulatory approval of genetic modification of plants that does not involve “foreign” genes. In addition to gene editing methods like CRISPR, there are plant GM methods that resemble natural mutations, and also mutations produced by techniques long accepted in agriculture, such as those induced by chemicals, X-ray, and gamma rays. The hornless cow people are hoping for regulatory benignity too. A hornless cow has a uniquely attractive quality: its purpose is to produce dairy herds that don’t have to undergo the painful de-horning procedure now common in the industry. This is a GMO that is the embodiment of kindess to animals, in contrast to the complaints often leveled against genetically engineered livestock. Good PR for a change? The question of “foreign” genes is a little iffier here though. 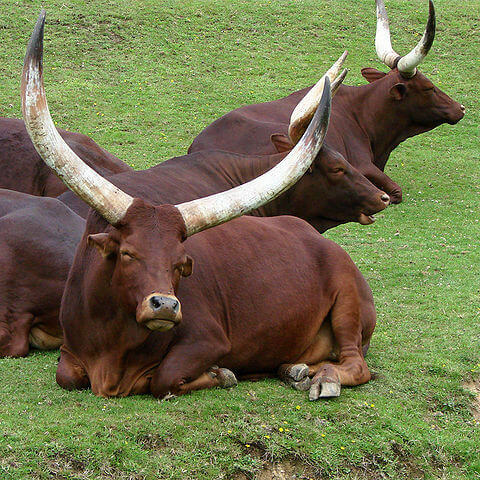 Hornlessness is produced by insertion of genes from other cattle breeds that are naturally hornless. “We’re talking about genes that already exist in a species we already eat,” Fahrenkrug told Tech Review. Is that close enough for government work? Would the Food and Drug Administration nod and approve its first genetically modified food animal because–although a hornless dairy cow is, strictly speaking, a transgenic organism–it contains only inserted genes from the same species? Even if the argument is persuasive with regulators, would it fly with the general public, and particularly with opponents of genetic modification? I’m doubtful. 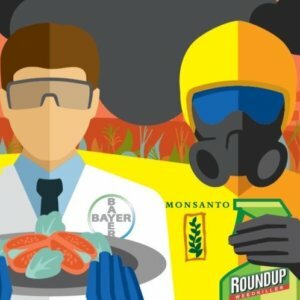 For one thing, the professional GMO antagonists often have agendas not directly related to genetic modification, for example opposition to agricultural multinationals. For them, how GM is done doesn’t matter much. 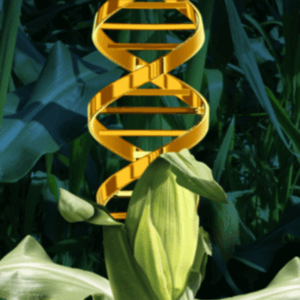 For others, a lot of the unease with genetic modification appears to involve inchoate worries about “tinkering with Nature” and “playing God.” For people with those concerns, the methods of genetic modification are irrelevant. It’s the very idea of genetic modification that worries them. Note also that not all applications of gene editing are transgene-free. 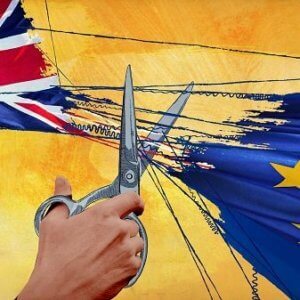 Presumably they would encounter the same objections made to any GM project involving insertion of foreign genes. One extraordinary example: The breathtaking proposal to modify the genes of the entire species of mosquito that carries malaria. The proposal employs CRISPR gene editing. But it also involves insertion of a gene, designed by the researchers, that would make mosquitoes resist the malaria parasite. My July GLP article about this plan, and proposals made by the researchers themselves for public discussion of this massive project, is here. Scientists at the Université Laval in Quebec report that they have used CRISPR to alter virulent phages. Phages are viruses that infect bacteria, not people; they can’t even recognize animal cells. That kind of thing will make it possible to study relationships between phages and their hosts, and presumably could lead to engineered phages that could destroy disease bacteria. CRISPR and other synthetic biology techniques will lead to cures for diseases of neurodegeneration, according to researchers at Imperial College London. On September 5 in Science, scientists at the University of Texas Southwestern Medical Center announced that they had prevented muscular dystrophy in mice by using CRISPR to correct the mutation that causes it. They did this in the mouse germline, so the correction showed up in their offspring. The plan for humans is to cure the disease, not prevent it, by correcting disease-causing mutations in the muscle tissue of patients with muscular dystrophy. Wow. That’s a pretty comprehensive forecast. And please believe me when I tell you that these examples are just a few highlights. There’s more, much more about the coming glory days of gene editing methods, especially CRISPR. My point is to emphasize once more the unprecedented power that scientists are claiming for these techniques. And it’s not just boyish enthusiasm and hype. They think gene editing, which employs a tactic that bacteria invented 3 billion years ago for warding off disease, is light-years better than other genetic engineering techniques. Easier. Cheaper. And therefore bound to become more widespread. Tabitha M. Powledge is a long-time science journalist and a contributing columnist for the Genetic Literacy Project. She also writes On Science Blogs for the PLOS Blogs Network. Follow her @tamfecit.